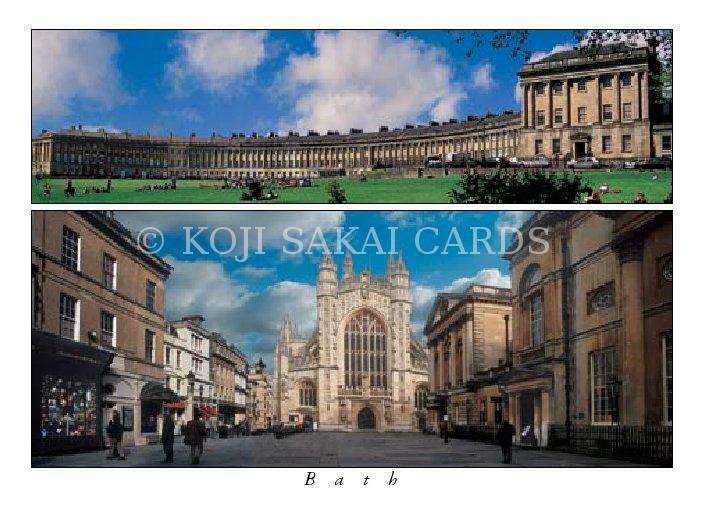 Top: The Royal Crescent - built by John Wood the Younger in 1767 - 75, 500 ft. long, contains 30 houses and 114 giant order of Ionic columns. 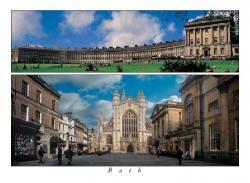 Bottom: Bath Abbey (West Front). After the Dissolution of the Monasteries in 1536, the Abbey fell into disrepair and was not properly restored until 1616. A masterpiece in the Perpendicular Style, called Lantern of the West due to the large windows.